With the rapid development of optical communication in recent years, users demand for the network is also homeopathic surge, 100G optical module in the rapid rise of the market has become the focus of attention of users. What is a 100G optical module? Fiberland gives the most comprehensive introduction to the 100G optical module, and see which of them is what you missed. 100G optical module is to adapt to the network market from 10G gradually to 40G, 100G development trend of the birth of the optical module products, the transmission rate of 100G, in the construction of 100G network system plays a vital role. Compared with the 2.5G, 10G or 40G wavelength division transmission system, the 100G optical transmission uses the digital coherent receiver to map all the optical attributes of the optical signal to the electric domain through the phase diversity and the polarization state diversity. Using the mature digital signal processing technology Domain to achieve polarization demultiplexing, channel damage equalization compensation, timing recovery, carrier phase estimation, symbol estimation and linear decoding. In the realization of 100G optical transmission at the same time, 100G optical module has undergone a series of major technological changes, including polarization multiplexing phase modulation technology, digital coherent reception technology third generation super error correction coding technology, thus satisfying the user and time Advancing demand. Currently available on the market 100G optical module types are: CXP optical module, CFP optical module, CFP2 optical module, CFP4 optical module and QSFP28 optical module. “C” in the CXP optical module represents 12 in hexadecimal, “X” represents a 10Gbps transfer rate per channel, and “P” means a hot pluggable pluggable. The CXP optical module is a copper connector system specified by the Wireless Broadband Trade Association and supports 12 10GbE applications for 100 GbE, 3 10G link transmissions for 40 GbE channels, or 12 10G Ethernet Fiber Channel or Wireless Broadband Signals 12 × QDR link transmission. The CFP optical module is designed on a small pluggable optical module (SFP) interface with a slightly larger size that supports 100Gbps data transfer. The CFP optical module can support a single 100G signal, OTU4, one or more 40G signals. CFP4 optical module is half the size of CFP2 optical module, and CFP2 optical module size is half of the CFP optical module, different sizes to meet the needs of different high-density data center, CFP4 optical module is more suitable for high-density network applications. QSFP28 optical module due to the small size is also gradually more attention. We know that QSFP optical module has four transmit and receive ports, QSFP28 optical module and QSFP optical module design concept of the same, each channel transmission rate up to 28Gbps. CPAK optical module is the more popular new 100G optical module type, the appearance and Cisco (Cisco) optical module is very similar, the difference is that its interface in line with IEEE standards, support and other interfaces compatible. With the rapid development of technology, 100G network applications closer to us, 100G optical module has become more cost-effective. 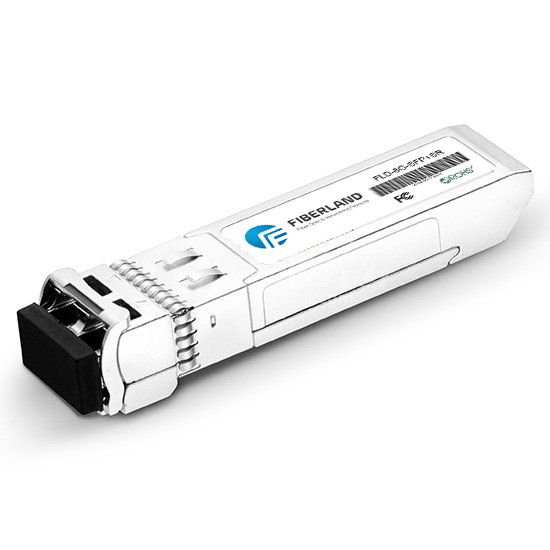 Fast fiber supply 100G optical modules have been a number of high-quality testing to ensure its reliability and stability, while also providing system solutions for users to build a more complete network system.